What Accounts for the Saudi Regime’s Hysterical Belligerence? Posted on 16 January 2016. The purpose of this essay is to explain, not describe, the frantically belligerent behavior of the Saudi regime. The goal is not to delve into what the regime and its imperialist enablers have done, or are doing; that unsavory record of atrocities, both at home and abroad, is abundantly exposed by other writers/commentators . It is, rather, to focus on why they have done or are doing what they do. The Saudi rulers find themselves in a losing race against time, or history. Although in denial, they cannot but realize the historical reality that the days of ruling by birthright are long past, and that the House of Saud as the ruler of the kingdom by inheritance is obsolete. This is the main reason for the Saudi’s frantically belligerent behavior. The hysteria is tantamount to the frenzy of the proverbial agony of a prolonged death. It explains why they react so harshly to any social or geopolitical development at home or in the region that they perceive as a threat to their rule. It explains why, for example, they have been so intensely hostile to the Iranian revolution that terminated the rule of their dictatorial counterpart, the Shah of Iran, in that country. In the demise of the Shah they saw their own downfall. (6) seeking “chaos to cover terror tracks,” as the well-known expert in international affairs Finian Cunningham put it . To the dismay of the Saudi regime, while these depraved policies have succeeded in causing enormous amounts of death and destruction in the region, they have failed in achieving their objectives: stability in the Saudi kingdom and security for its regime. On the contrary, the reckless policies of trying to eliminate its perceived opponents have backfired: the regime is now more vulnerable than four or five years ago when it embarked (in the immediate aftermath of the 2011 Arab Spring revolutions) on the vainly aggressive policy of trying to eliminate the supposed dangers to its rule. The illegal war on Yemen, carried out with the support of the United States, has turned from what was supposed to be a cakewalk into a stalemate. Not only has it solidified and emboldened the sovereignty-aspiring Houthis resistance to the Saudi-led aggression, it has also considerably benefited al-Qaeda in the Arabian Peninsula (AQAP). Likewise, the War on Syria, largely funded by the Saudi regime, has fallen way short of its goal of unseating President Assad. Here too the aggression has handsomely benefited a motley array of mercenary and jihadi groups, especially those affiliated with Jabhat al-Nusra, known as al-Qaeda in Syria, and the so-called Islamic State. In both of these countries the power and influence of the Saudi regime and its partners in crime is in decline while the resistance is gradually gaining the upper hand, especially in Syria—thanks largely to the support from Russia and Iran. 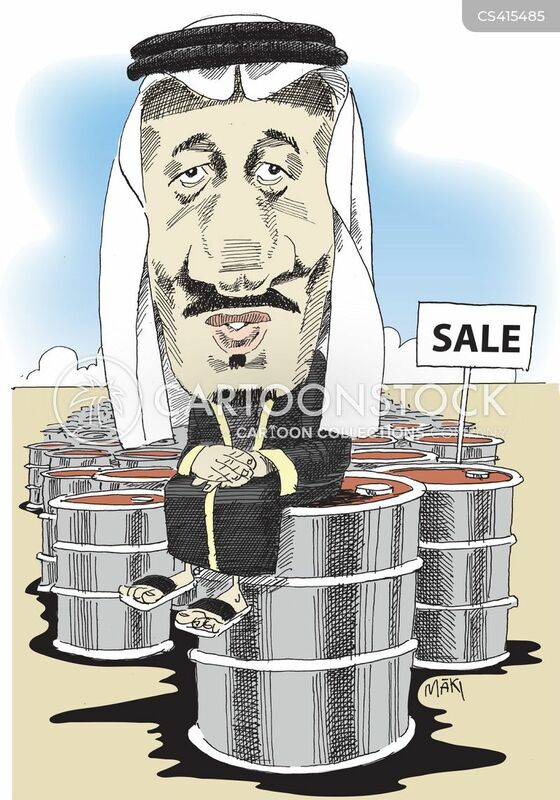 Perhaps more tragically for the Saudi regime, has been the failure of its “oil war” against Russia and Iran. Recklessly saturating global markets with unlimited supply of oil in the face of dwindling demand and increased production in the U.S. has reduced the price of oil by more than 60 percent. This has led to an officially-declared budget deficit of $98 billion for the current fiscal year, which has forced the regime to curb social spending and/or economic safety net programs. There are indications that the unprecedented belt-tightening economic policies are creating public discontent, which is bound to make the regime even more vulnerable. A bigger blowback from the regime’s “oil war,” however, goes beyond economic problems at home. More importantly, it has led to an unintended consequence that tends to make the regime les secure by reducing its economic and geopolitical worth to its imperialist benefactors. Cheap and abundant energy in global markets is bound to undermine the indispensability of the House of Saud to its imperial patrons. In using oil as a weapon against their rivals, the spoiled big babies of Western powers in the Arabian Peninsula may have pushed their luck too far. Combined, these blowbacks and ominous consequences of the Saudi regime’s belligerent policies have made the regime and its allies in the region more vulnerable while giving strength and credibility to the resisting forces in Syria, Iraq, Yemen, and Lebanon, supported by Iran and Russia. These unintended consequences of the Saudi rulers’ aggressions explain why they are panic-stricken and behave hysterically. Posted in Saudi ArabiaComments Off on What Accounts for the Saudi Regime’s Hysterical Belligerence? Indonesia joins a growing list of countries beyond the Middle East region reportedly hit by the Zio-Wahhabi Islamic State group or its affiliates. Is it a case of IS simply going global, or is there something else to the latest incident in Indonesia? On the face of it, the attacks this week in downtown Jakarta – the Indonesian capital of 10 million people – are similar to those carried out in Paris last November, albeit with much less deadly results. Both involved a team of suicide bombers and gun attacks. In the Paris attacks, some eight armed men killed 130 people when they struck at various public venues on November 13. This week in Jakarta up to 15 assailants armed with explosives and rifles managed to kill only two civilians; the other five reported dead were attackers who were shot by police or blew themselves up. From the terrorists’ point of view, the Jakarta operation was a failure. That failure was partly due to the vigilance of Indonesian police, who had increased security across the capital in recent weeks due to what they said was the interception of terror communications. Jakarta deputy police chief Budi Gunawan was quoted by The Wall Street Journal as saying that a homegrown Islamist network in the Java city of Solo had been plotting terror attacks with jihadists based in Syria. “We detected communications between a Syria group and the Solo group,” said Gunawan. Following the Jakarta violence, the IS group reportedly claimed responsibility. The question is: what’s behind the uptick in IS-affiliated activity in Indonesia? Police reportedly made several arrests against suspected IS operatives in recent weeks. Indonesia is no stranger to terrorism carried out by Zio-Wahhabi Islamist groups. Between 2000 and 2009, there were six major terrorist atrocities. The biggest one was the bombings in the tourist resort of Bali in 2002 which killed over 200 people. But for the past five years, the country has enjoyed relative peace. Author and expert on Indonesia Jeremy Menchik told France 24 in an interview Thursday night that the relative quiet in the world’s fourth largest nation has been achieved because of the country’s relatively democratic transition having been able to co-opt dissident Islamist groups. With a population of over 240 million, Indonesia is the world’s most populous Muslim country. While the country suffered from a brutal dictatorship under Suharto from 1965 until the late 1990s, it has since managed to steer a more benign, inclusive and secular political path. Under President Joko Widodo, elected in 2014, Indonesia has managed to contain its erstwhile radical Zio-Wahhabi Islamist problem. Saudi revenge for Indonesia’s PR snub? One month ago, on December 17, Saudi Zio-Wahhabi regime launched a 34 Islamic nation “anti-terror” coalition, with an ostentatious announcement in the Saudi capital Riyadh. The surprise initiative was welcomed by Washington and London, although it was greeted with skepticism by many observers given the documented role that the Saudi Zio-Wahhabi rulers have had in funding and arming terror groups, including the Islamic State and other Al Qaeda-linked militants. Skeptics noted that the Saudi Zio-Wahhabi led coalition of 34 Islamic nations appeared to be hastily cobbled together, with some of the nominal member countries later saying that they had not been consulted by the Saudis in its formation. Not included in the Zio-Wahhabi initiative of the “anti-terror” Islamic bloc were Iraq and Iran, perhaps unsurprisingly given the Saudi Zio-Wahhabi antagonism with these mainly Shiite countries. Even more pointedly, two major Islamic nations, Algeria and Indonesia, explicitly declined to participate in the Saudi Zio-Wahhabi led alliance. Given the prominence of Indonesia as the world’s biggest Muslim country, the Saudi Zio-Wahhabi initiative was thus dealt a severe public relations blow by Jakarta’s refusal to sign up. It is believed that Saudi Zio-Wahhabi regime has been behind the funding of radical Islamist groups within Indonesia going back several years, according to the Financial Times. With that in mind, the Indonesia authorities most likely snubbed the Saudi “anti-terror” coalition last month for precisely the same reasons that many analysts dismissed it. Seeing it as a cynical public-relations gimmick by the Saudis who are trying to burnish their badly tarnished international image over suspected links with terrorism, particularly in Syria’s five-year conflict. That raises the plausible conjecture that the terror attacks this week in Jakarta by an IS-connected group may have been orchestrated as a form of retaliation against the Indonesian government for its embarrassing snub against the Saudis Zio-Wahhabi regime last month. If the Saudis and Western intelligence are indeed in some murky way driving jihadist terrorism for their geopolitical agenda, then it stands to reason that such terror groups could be manipulated by these same protagonists in Indonesia – or anywhere else for that matter. A terror attack in the heart of Jakarta apparently carried out by the ‘IS’ group would serve as a sharp warning to Indonesia over its derisory put-down of the Western-backed Saudi “anti-terror” coalition. The sudden uptick in Islamist terror activity in Indonesia and the failure of the attackers in Jakarta to inflict greater damage suggest that the assault was hurriedly planned. As in the orders to the operatives were hastily dispatched and acted on. That would fit with the theory that the Saudi Zio-Wahhabi regime sponsors of terrorism were looking for a quick counter to Indonesia undermining their anti-terror charade last month. As the US grows desperate to re-establish credibility in the Middle East, having failed to stem the rise of terrorism across the region, and in response to Russia’s intervention in Syria, Washington is now clearly in danger of losing the plot. This is an astounding statement, cynical in its disregard for civilian lives and dripping in hypocrisy when we consider the efforts that have been made by Western ideologues and their governments to demonize Russia over its intervention in Syria, accusing it of striking civilian targets with blithe disregard for the consequences. Imagine if a Russian military commander made a statement such as this, openly acknowledging that civilians would be killed in future Russian airstrikes. The uproar across Western media platforms would be off the scale. There would likely even be attempts to convene an emergency meeting of the UN Security Council in order to censure the Russian government, along with a concerted attempt to isolate Moscow and reduce it to pariah status. Yet, when US officials make such statements it’s reported as if it was just another day in the Empire. Though undeniably shocking in its callousness, for those familiar with the history of US military operations it will come as no surprise. In Korea and Vietnam in the 1950s and 60s, for example, the US waged total war against civilians. They carpet bombed both countries until the landscape was utterly devastated, in addition to using napalm and chemical weapons such as Agent Orange to destroy crops, rice paddies and, with it, the means of survival for millions of human beings. Another US war crime, connected to the Vietnam War, was the carpet bombing of Cambodia across the Vietnamese border. Many consider this to have been genocidal in its destruction of the country and the sheer number of people slaughtered. Even worse it created the conditions in the country out of which the Khmer Rouge emerged, offering a striking parallel with the Middle East today considering the role the war in Iraq played in destabilizing the region with the emergence of ISIS the result. In reality the history of the US when it comes to slaughtering civilians, or aiding their slaughter and suffering, provides enough material for a thousand articles never mind one. The image of itself it tries to promote to the gullible and guileless, mostly its own people, is of a nation that stands for the highest standards of moral rectitude, decency, and honor in its dealings with the rest of the world. The truth is exactly the opposite. The truth is that Washington is verily drowning in the blood of innocent people, deemed surplus to the requirements of US hegemony. Syria today is no different, which is why nobody should be surprised at such open and naked disregard for innocent civilians, revealed in the words of US officials vis-à-vis future US airstrikes. The Venezuelan Supreme Court had declared the leadership of the right-wing dominated National Assembly in contempt over their defiance. Three right-wing Venezuelan politicians have finally decided to follow the rule of law and accept the Supreme Court ruling that suspended their election victories until an investigation into allegations of vote buying is concluded. During National Assembly’s session Wednesday, the Supreme Court ruling was read aloud inside the chamber. Socialist lawmakers, who had been demanding the Supreme Court’s ruling be respected, responded with vehement applause. The three suspended lawmakers wrote to the leadership of the National Assembly Tuesday seeking that their swearing-in be reversed. The majority MUD coalition swore in the lawmakers despite the court order in a defiant provocation last week. Ramos Allup told CNN that he had received a letter from the three suspended politicians Tuesday evening. Julio Ygarza, Nirma Guarulla and Romel Guzamana, representing the right-wing MUD coalition, were elected in the state of Amazonas during parliamentary elections held last month. But the electoral chamber of the Supreme Court accepted a challenge to the results over allegations of vote-buying and electoral irregularities. ​The court ordered that all candidates elected in the state of Amazonas be temporarily suspended while an investigation is conducted. However, the MUD coalition defied the Supreme Court and had the three suspended candidates sworn in. In response, socialist PSUV lawmakers went before the Supreme Court to protest the MUD’s violation of the constitution. The Supreme Court agreed and ruled Monday that the leadership of the National Assembly were in contempt and any decisions made by the National Assembly would be void after the right-wing MUD alliance swore in the three legislators. ​A fourth candidate from the state of Amazonas, a socialist from the PSUV, was also suspended, but he did not attempt to take his seat in the assembly. The MUD won a two-thirds supermajority in the Dec. 6 elections, granting it powers to make sweeping changes, including overhauling the constitution and calling a recall referendum on the presidency of President Nicolas Maduro. The visit of Qatari Emir Sheikh Tamim bin Hamad Al Thani to Moscow to meet with Russian President Vladimir Putin may be considered by some to be unexpected, but it is hardly surprising. Although the two countries maintain considerable trade ties to the tune of half a billion dollars a year, they have for more than a decade been erstwhile adversaries. As two of the greatest gas exporters, they rarely agree on production quotas, vying for control of this essential market. In the past 20 months, Russia has been highly critical of Saudi Arabia and Qatar for refusing to curb oil production output as global prices plummeted. A major oil exporter, Russia – already reeling from EU and US sanctions – has suffered considerably as prices drop to the $30 mark. The rhetoric between both countries peaked after Russian fighter bombers and naval vessels began pounding Islamist extremist groups fighting to remove Moscow’s Syrian ally President Bashar Al Assad. As the Sunni-funded campaign to remove Assad appeared to reach a stalemate, both Qatar and Saudi Arabia have since May 2015 significantly increased their support (financially, logistically and with materiel) to Wahabist Islamist factions in Syria. The increase in support came as both countries realized that Washington was unable – or unwilling – to provide such groups as Nusra Front and the Free Syrian Army with the upper hand to turn the tide against Assad. When Russia moved to reinforce its bases in Syria and presence in the Mediterranean, the Qataris in late October 2015 announced they could militarily intervene in the civil war there to aid their Islamist allies. “If a military intervention will protect the Syrian people from the brutality of the regime, we will do it,” Qatari Foreign Minister Khalid al-Attiyah said at the time. If such bravado was meant to nudge Washington to up the ante against Assad, it failed. A week later, the US appeared to cave in to Russian pressure to bring together senior representatives from Germany, France, Great Britain, Italy, Iraq, Egypt, Lebanon, Qatar, the United Arab Emirates, Jordan, as well as the UN’s special envoy to Syria Staffan de Mistura, and EU foreign policy chief Federica Mogherini to meet in Vienna to resolve the Syrian civil war. It marked the first time rivals Saudi Arabia and Iran joined discussions on Syria. The two countries have backed opposing sides in the Syrian and Yemeni conflicts. The armed Syrian opposition – classified as moderates by the US – did not participate in the talks. By expanding the number of countries meeting on the crisis – and bringing Assad’s critical backer Iran to the table – Russia effectively minimized Qatar’s and Saudi Arabia’s influence in the conflict. In late November, on the sidelines of the third summit of the Gas Exporting Countries Forum (GECF) in Tehran, Putin thanked Iranian Supreme Leader Ayatollah Seyyed Ali Khamenei for his help in Vienna. Moscow and Tehran have supported Syria’s President Bashar Al Assad and insisted that he be part of an interim political process and future elections. “All this is done, of course, in agreement with the Iranian partners … I think that without them it would be impossible,” Putin said in comments carried by Russian news agencies. Russia also played a critical role in ensuring that Iran and the other permanent Security Council members (and Germany) sign a deal which would curb Tehran’s nuclear program in exchange for a lifting of debilitating sanctions. If it wasn’t clear yet, a rising Russia was increasingly flexing both its military and diplomatic muscles in the Middle East. Even Egypt, which has been financially sustained by Saudi Arabia, defied its Riyadh benefactors and backed Russia’s approach to resolving the conflict. On December 18, Russia and the US agreed to a UN Security Council resolution “to convene representatives of the Syrian government and the opposition to engage in formal negotiations on a political transition process on an urgent basis, with a target of early January 2016 for the initiation of talks, pursuant to the Geneva Communiqué, consistent with the 14 November 2015 ISSG Statement, with a view to a lasting political settlement of the crisis”. A week later, the previously chest-pumping Qatar Foreign Minister al-Attiyah was in Moscow where he praised his Russian counterpart Sergey Lavrov for Russia’s efforts to stabilize the Middle East. The two diplomats agreed on the need to move the UNSC resolution forward. “We discussed in detail what’s necessary to be done to implement the agreements on the Syrian settlement,” Lavrov said at the time. In early January, Russia’s BRICS ally China, which is also increasingly playing a political role in the Middle East, separately hosted members of both the Syrian government and the opposition. It encouraged the latter to drop its preconditions to meeting with Syrian government representatives. In less than six months, the momentum to bring Assad down has shifted toward ensuring that a political peace process get off the ground. Qatar’s ambitions to become a regional and global player have in recent months been tamed. Its ‘soft power’ approach to controlling the Middle East has backfired as it rushed head on against countries that have for centuries been well-versed in the art of Machiavellian empire-building and proxy manipulation. At the same time, Russia’s aggressive immersion in the Middle East muddle has altered not only the narrative in the region but physical realities on the ground. Anti-Assad forces have been losing significant territory to the Syrian military and its Hezbollah allies. As Russia pounds and destroys the weapons bought by Qatar and Saudi Arabia, the US appears to have retreated despite Arab Sunni protestations. As Sheikh Tamim bin Hamad Al Thani himself likes to point out, Qatar is a peace-loving member of nations that will work with the US and Western allies to bring the Middle East back from the brink of chaos and collapse. He has blamed the international community for not supporting Arab youth in their drive for democracy, justice and economic security. That is really a scolding of the US and the West for not doing more to bring the Assad regime down. New realities have been forming in the Middle East. The Iran nuclear deal, which has alarmed Washington’s Sunni allies, will not only be a moral and propaganda boost for Tehran but also allow tens of billions of dollars to flow into its cash-strapped coffers. Iran is soon expected to flood already saturated oil markets with an additional one million barrels – a day. Iran has successfully ‘managed’ its new ally Iraq, kept Assad in power, and maintained its proxy Hezbollah’s influence in Lebanon. With Iran and the US appearing to be at the very least cordial now, Tehran’s influence is only set to grow. For Iran to grow as a geopolitical power, other players must first retreat. By continuing to back Islamist factions in Libya, Syria and Egypt, Qatar misread and miscalculated the response of erstwhile allies in its own front yard. Nowhere has that been more evident than in Qatar’s commitment to Egypt following the 2011 uprising which resulted in President Hosni Mubarak stepping down and the Muslim Brotherhood eventually winning power through the ballot box. Qatar backed the Muslim Brotherhood and Islamist factions in Egypt. Egyptian hardline cleric Yussuf Al Qaradawi, who was a vociferous critic of the Mubarak government, returned to Cairo from his home in Doha just a week after the president stepped down. Qaradawi, who is close to Qatar’s ruling family, is also a strong advocate of the Muslim Brotherhood in Egypt. When the Muslim Brotherhood’s President Mohamed Morsi was forced from power, many in Egypt felt that Qatar’s Al Jazeera was biased in favor of the Islamist group and openly belligerent against the new government. According to prominent Middle East commentator Sultan Sooud Al Qassemi, Al Jazeera was used by the Qatari leadership to the service of the Muslim Brotherhood. Even after Morsi was imprisoned and put on trial, Al Jazeera continued to support the Muslim Brotherhood despite the advice to the contrary and objections of many of its allies in the Gulf Cooperation Council (GCC). Saudi Arabia and the UAE, the latter having been directly threatened by Brotherhood officials in 2012 and 2013, urged Qatar to back away from supporting the group. After failing to persuade Qatar to terminate its ties to the Muslim Brotherhood, and in the wake of Saudi Arabia classifying the group as a terrorist organization, key GCC states turned on Qatar. They accused Doha of failing to live up to a 2013 GCC security agreement to end support for the Muslim Brotherhood and stop providing sanctuary to its leaders and members. In March 2014, Saudi Arabia, the UAE and Bahrain withdrew their ambassadors from Doha. This was unprecedented among the usually unified and resolute GCC. The diplomatic rift indicated that there were significant fissures within the GCC and marked a shift in Qatar’s fortunes. How could it influence the region like it once did if it was becoming a pariah among its closest friends and allies? As Europe, the US, China, Russia, Saudi Arabia, and the UAE declared support for the new Egyptian President Abdel-Fatah El-Sissi, Qatar was growing increasingly isolated. The drastic fall of global oil prices has also delivered a debilitating blow to GCC countries, Qatar included. Brent Crude was at nearly $110 in 2013; on January 15, 2015 it closed below $30 a barrel – more than a 75 per cent drop. Funding a civil war that is not paying dividends is not the best of financial decisions given the current oil glut. Some media analysts have speculated that the drop in oil prices played a role in Qatar deciding to shut down its media operations in the US – Al Jazeera America. Having lost leverage, Qatar is adopting a more pragmatic approach to carefully chart a way back to international cooperation. Ahead of his trip to the US last year, Sheikh Tamim said in a New York Times editorial that Qatar sees itself as a force of good. It aggressively seeks to resolve conflict and enjoys playing the role of mediator and arbiter. Russia has in recent months made significant overtures to several Arab countries, including Jordan, Saudi Arabia and the United Arab Emirates. Qatar cannot afford to be left out. When Sheikh Tamim arrives in Moscow this weekend he will likely discuss current gas and oil crises with his Russian counterpart as both seek ways to raise global prices. Qatar could also offer to mediate between Russia and Turkey, one of its strongest allies in the region, following the diplomatic spat between Moscow and Ankara in the wake of the downing of a Russian fighter jet over Syrian air space. Middle East commentator Camille Otrakji, however, cautions that “one can expect Qatar’s ruler to talk to Russia, without necessarily being ready to stop financing and arming the Jihadists”. “[The] Qataris show interest in any promising investment, and Russia is today looking very attractive,” he added. In 2006, then Secretary of State Condi Rice said that the Middle East map was being redrawn. She likely could have never predicted the Qatar-Russia detente we see today. Britain is at the heart of a humanitarian disaster of epic proportions unfolding in the Yemen. At least 10,000 people have been killed since the Saudi bombing campaign against Yemen began in March 2015, including over 630 children. There has been a massive escalation in human rights violations to a level of around 43 per day and up to ten children per day are being killed, according to UNICEF. Seventy-three percent of child casualties are the direct result of airstrikes, say the UN. Civilian targets have been hit again and again. Within days of the commencement of airstrikes, a refugee camp was bombed, killing 40 and maiming over 200, and in October a Medicins San Frontier [Doctors Without Borders] hospital was hit. Schools, markets, grain warehouses, ports and a ceramics factory have all been hit. Needless to say, all of these are war crimes under international law – as is the entire bombing campaign, lacking, as it does, any UN mandate. Beyond their immediate victims, the airstrikes and accompanying blockade – a horrendous crime against a population which imports 90 percent of its basic needs – are creating a tragedy of epic proportions. In August 2015, Oxfam warned that around 13 million people were struggling to find enough to eat, the highest number of people living in hunger it had ever recorded. “Yemen after five months looks like Syria after five years,” the head of the International Red Cross commented in October. The following month, the UN reported that 14 million now lacked access to healthcare and 80 percent of the country’s 21 million population are dependent on humanitarian aid. “We estimate that over 19 million people lack access to safe water and sanitation; over 14 million people are food insecure, including 7.6 million who are severely food insecure; and nearly 320,000 children are acutely malnourished,” the UN’s Humanitarian Coordinator told reporters in November. He estimated that around 2.5 million have been made refugees by the war. In December, the UN warned that the country was on the brink of famine, with millions at risk of starvation. Indeed. So presumably, one might have thought, when the Saudis began their massive escalation of the war six months after Hammond made this statement, the British government must have been outraged? For Edward Santiago, Save the Children’s country director in Yemen, the UK’s “reluctance to publicly condemn the human cost of conflict in Yemen gives the impression that diplomatic relations and arms sales trump the lives of Yemen’s children,” whilst Andrew Smith from Campaign Against the Arms Trade, has written that “UK fighter jets and UK bombs have been central to the humanitarian catastrophe that is being unleashed on the people of Yemen.” Leading lawyers including Philippe Sands have argued that Britain is in clear breach of international law for selling weapons which it knows are being used to commit war crimes. Now it has emerged that it is not only British weapons being used in this war, but British personnel as well. According to Sky News, six British military advisors are embedded with the Saudi air force to help with targeting. In addition, there are 94 members of the UK armed forces serving abroad “carrying out duties for unknown forces, believed to be the Saudi led coalition,” according to The Week – although the government refuses to state exactly where they are. Indeed, even British airstrikes in Syria may have been motivated in part by a desire to prop up the flagging war effort in Yemen. Questioning of Philip Hammond in parliament recently led him to admit that there had been a “decrease in air sorties by Arab allies” in Syria since Britain’s entry into the air campaign there due to the “challenges” of the Yemen conflict. For Scottish Nationalist MP Stephen Gethins this suggests that, by stepping up bombing in Syria, Western countries were effectively “cutting them [Arab states] a bit of slack to allow them to focus on the Yemen conflict,” especially needed given that support for the Yemen campaign has been flagging from states such as Jordan, Morocco and Egypt. It is particularly ironic that British MPs’ supposed commitment to destroying ISIS in Syria is actually facilitating a war in Yemen in which ISIS is the direct beneficiary. Finally, it is worth considering British support for the Saudi bid for membership of the UN Human Rights Council. The Council’s reports can be highly influential; indeed, it was this Council’s damning (and, we now know, fraudulent) condemnation of Gaddafi that provided the ‘humanitarian’ pretext for the 2011 NATO war against the Libyan Jamahiriya. And the Yemeni government’s recent expulsion of the UN Human Rights envoy shows just how sensitive the prosecutors of the Yemeni war are to criticism. It would, therefore, be particularly useful for those unleashing hell on Yemen to have the UN Council stacked with supporters in order to dampen any criticism from this quarter. Britain, then, is the major external force facilitating the Saudi-fronted war against the people of Yemen. Britain, like the Saudis, is keen to isolate Iran and sees destroying the Houthis as a key means of achieving this. At the same time, Britain seems perfectly happy to see Al-Qaeda and ISIS take over from the Houthi rebels they are bombing – presumably regarding a new base for terrorist destabilization operations across the region as an outcome serving British interests. Police in the U.S. are rolling out new technology that gives them “unprecedented” power to spy on citizens and determine their “threat score” based on metadata, the Washington Post reported on Monday. Fresno, California’s police department was one of the first to adopt the software, known as “Beware,” which allows officers to analyze “billions of data points, including arrest reports, property records, commercial databases, deep Web searches and… social-media postings” to calculate an individual’s alleged potential for violence, the Post explained. Officers say the tool, made by a company called Intrado, can help them thwart mass shootings and other attacks like the ones that took place in Paris and San Bernardino last year. But critics say it’s just another weapon in the mass surveillance arsenal, one that further threatens privacy and civil liberties and fuels police overreach. Nabarro said the fact that only Intrado — not the police or the public — knows how Beware tallies its scores is disconcerting. He also worries that the system might mistakenly increase someone’s threat level by misinterpreting innocuous activity on social media, like criticizing the police, and trigger a heavier response by officers. A potential threat that comes from an individual should not be addressed by a machine, he said. In addition to Beware, police departments are equipping officers with tools like Media Sonar, which analyzes social media for “illicit activity,” among other technology, the Post reported. Others criticized the implementation of such law enforcement tools while police brutality remains widespread and activists continue to call for an overhaul of the policing system. [One] council member referred to a local media report saying that a woman’s threat level was elevated because she was tweeting about a card game titled “Rage,” which could be a keyword in Beware’s assessment of social media. Dyer agreed. The scan returned Olivier as a green, but his home came back as a yellow, possibly because of someone who previously lived at his address, a police official said. “[Beware] has failed right here with a council member as the example,” Olivier said. Last week, Siddharta Dhar, a Hindu-born Muslim convert, made front page news as the latest British citizen to turn up in Syria draped in ISIS imagery and toting an AK. He may or may not be the masked Brit who starred in a recent ISIS snuff movie, but, like pretty much all those who preceded him, he was well known to the British security services. A member of Al-Muhajiroun, a ‘proscribed organization’ under the 2000 Terrorism Act, he was on bail for terrorism offenses at the time he left the country, and had been asked to hand over his passport to the police (he didn’t bother, it turned out). Indeed, according to Andy Burnham, shadow British Home Secretary, “He was well-known to the authorities having been arrested six times on terrorism related offenses”. Nor was his flight exactly unpredictable. Earlier in the year, he had declared – on the BBC’s ‘This Morning’ program, no less – that “now that we have this caliphate I think you’ll see many Muslims globally seeing it as an opportunity for the Koran to be realized”. Just to further clarify his intentions, he went on to tell Channel Four News: “I would love to live under the Islamic State”. I’m no expert on decoding terrorist lingo, but to my untrained eye this statement appears fairly unambiguous. But perhaps no one in British intelligence has a telly. Or perhaps there is another explanation. Once in Syria, Dhar tweeted: “My Lord (Allah) made a mockery of British intelligence and surveillance… What a shoddy security system Britain must have to allow me to breeze through Europe to the Islamic State.” Shoddy? Maybe. But as Nick Lowles, from the group Hope not Hate, put it, “With at least six prominent members of al-Muhajiroun (the banned extremist group) having been able to slip out of Britain whilst on bail or having been banned from leaving, questions need answering. One absconding is a worry, two appears careless, but six – well, that needs answering.” Indeed it does. In fact, it seems that pretty much every time a British ISIS or Al Qaeda recruit is unearthed, they turn out to have deep ties to the intelligence services. The story of Michael Adebalajo is a case in point. On May 22, 2013, Adebelajo and Michael Adebowale stabbed Fusilier Lee Rigby to death in London. It soon emerged that MI5 had been trying to recruit him at the time. But for what? The parliamentary committee on intelligence and security conducted hearings on the murder later that year, and its report makes fascinating reading. It revealed that, prior to the murder, Adebolajo had been identified as a Subject of Interest (SoI) in no less five separate MI5 investigations, including one which was focused specifically on him. This surveillance had revealed that he was in contact with “a high profile and senior AQAP [Al Qaeda in the Arabian Peninsula] extremist” as well as two “Tier 1 SoIs being investigated… due to their possible links with AQAP in Yemen”. At one point in 2011, this particular investigation was “MI5’s highest priority operation” and it led MI5 to conclude that “Adebolajo was a primary contact of BRAVO and CHARLIE”, code names for the two suspected AQAP members under investigation. Of course, ‘guilt by association’ alone would not have been enough to arrest him. But his drug dealing would have been. In theory, MI5 are supposed to ‘disrupt’ the activity of extremists by, for example, facilitating their arrest if they are involved in criminality. In Adebolajo’s case, the ‘intrusive surveillance’ which he was under for a time revealed not only that he was “involved in drug dealing” but indeed that he was “spending most of his time” drug dealing. This was the perfect opportunity for MI5 to ‘disrupt’ the activities of a man suspected of being a recruiter for Al Shabaab and known to be in contact with senior members of Al Qaeda. But MI5 seemed curiously uninterested in pursuing it. They did eventually pass some information onto the local police – but without passing on any actual evidence, and “accidentally omitting” his house number, with the result that “the police officer tasked to investigate concluded… that no further action could be taken”, an entirely predictable outcome. Further opportunities for ‘disruption’ were also ignored. The report notes that in November 2012, Adebolajo was part of “a larger group of individuals who were [involved in] a violent confrontation”. Following the disruption, it was noted that “Adebolajo’s details will be passed to [another police unit]”. For some reason, however, this didn’t happen. Nor was Adebolajo prosecuted for his membership in a proscribed organization (Al Ghurabaa, aka Al Muhajiroon). Information apparently relating to Adebolajo’s involvement with terrorism – but redacted from the report – was known by MI6 at the time of his arrest according to the British counter-terrorist police officer stationed in Kenya at the time. The security agents in question belonged to a highly secretive counter-terrorism unit in Kenya (referred to in the report as ARCTIC) with “a close working relationship” with the British government. Adebolajo alleged on several occasions that he had been tortured during his time in custody, leading the Committee to point out that “if Adebolajo’s allegations of mistreatment did refer to his interview by ARCTIC then HMG could be said to have had some involvement”. MI6 consistently lied to the Committee about their involvement with Adebolajo in Kenya – a point noted (albeit somewhat apologetically) in their report. Of his detention, MI6 claimed “we did not know it was going on”; prompting the Committee report to “note that SIS [MI6] had been told that a British citizen was being held in detention: therefore, they did know that “it was going on”. Finally, a redacted piece of information referring to what the Committee called “relevant background knowledge” concerning Adebolajo was disowned by MI6, who claimed only to have heard it when told by the police. The police, however, had already explained that it was MI6 who passed it to them in the first place. Exactly what MI6 were up to in Kenya with Adebolajo remains shrouded in mystery. However, the Committee was clearly unimpressed by what they were told: “SIS has told the Committee that they often take the operational lead when a British national is detained in a country such as Kenya on a terrorism-related matter. What if, however, MI6’s work on the “link between UK extremists and terrorist organizations overseas” is not aimed at disruption after all? What if they have been charged with facilitating, rather than countering, “jihadi tourism”? At the time, MI5 was running an investigation into “individuals who were radicalizing UK-based extremists and facilitating their travel overseas for extremist purposes”, referred to in the Committee’s report as Operation Holly. They wrote to an MI6 representative in East Africa to ask whether “one of Adebolajo’s contacts could have been a Kenya-based SoI known to MI5 and SIS” then under investigation, but MI6 never responded. The following year, “surveillance deployments indicated that Adebolajo had met an SoI investigated for radicalizing UK-based individuals and facilitating their travel overseas.” This entry in the report’s timeline was preceded by four redacted items and followed by another. The report also contains reference to a number of occasions in which investigating officers’ requests and recommendations for action against Adebolajo and Adebowale were not implemented, for reasons that were not recorded. This raises the issue of whether these requests had been over-ruled, and if so by whom. Unfortunately, the committee seemed to accept at face value MI5’s explanations of such failures (new priorities taking away resources, etc), but their report did note, in somewhat exasperated tone, that “where actions were recommended, they should have been carried out. If the investigative team had good reason not to carry out a recommended action, then this should have been formally recorded, together with the basis for that decision”. Adebolajo, then, had come up on the security services radar again and again as someone not just potentially involved in recruiting for overseas terrorism, but with prior form in actually doing so. And yet we are supposed to believe that MI6 – whose prime concern was supposedly to deal with such people – had no interest in him in Kenya, and that MI5 – who are supposed to disrupt the work of such figures – willfully passed up chance after chance to do so. Fast forward to today, and we have an official figure of 800 – but with estimates of 1,500 and more – British citizens who have gone to fight in Syria. We have evidence from Moazzam Begg’s collapsed trial that MI5 gave the ‘green light’ to his trips to train fighters in Syria; we have the collapse of Bherlin Gildo’s trial for terrorist activities in Syria due to the embarrassment it was feared it would cause British security; we have Abu Muntasir’s testimony that “I inspired and recruited, I raised funds and bought weapons, not just a one-off but for 15 to 20 years. Why I have never been arrested I don’t know”; we have the US Senate hearings into the murder of US ambassador Christopher Stevens revealing that MI6 was involved in running a ‘ratline’ of weapons from Libya to Syria; we have case after case of families angry at the British authorities for allowing their children to go and fight despite repeated warnings, and on it goes. Can we really still call it a conspiracy theory to believe that British intelligence has allowed this to happen? A shoddy security system? Or a ruthlessly efficient one. UK personnel are working in a Saudi Arabian “control centre” assisting with targeting as part of a bombing campaign in Yemen, which has been accused of attacks which “may amount to a war crime” by the UN Secretary General. Saudi Arabia’s foreign minister told journalists today that “British officers were working alongside Saudi and other coalition colleagues in the campaign’s operations rooms,” according to media reports. The campaign has reportedly hit several Medicins Sans Frontieres (MSF) facilities, as well as a centre for the blind and a wedding hall. The Saudi minister’s revelations go further than previous British Government statements, which have said that nearly 100 UK personnel are embedded in ‘Coalition HQs’ but have failed to specify which coalitions those are. It now appears that the Written Statement published by the Defence Secretary in December last year may have been referring to UK personnel embedded with the Saudi coalition, but did not make this clear at the time. Whether or not the British personnel in the Saudi centre are ‘embedded’ is significant because the UK Government has previously stated that such personnel fall under the control of the ‘host nation’ – in this case, the Saudis. In a July 2015 statement to Parliament, Michael Fallon said that “Embedded UK personnel operate as if they were the host nation’s personnel, under that nation’s chain of command, but remain subject to UK domestic, international and Host Nation law.” Therefore, there are concerns that the UK personnel in the centre could be under the command of the Saudi authorities. “It is shocking to discover that our Government has embroiled British personnel in the targeting process that is creating this mayhem. More disturbingly, we’re learning about the UK’s involvement not from the our Government, but from the Saudi authorities who now appear to be more transparent than their British counterparts. A plan approved by Israel’s cabinet last week to provide half a billion dollars worth of assistance to Israel’s Druze and Circassian minorities has been denounced by leaders of Israel’s Palestinian community as a “divide and conquer” tactic. Israeli Prime Minister Benjamin Netanyahu announced the 2 billion shekel ($510 million) multi-year plan “for the development of the Druze and Circassian communities” at the start of the weekly cabinet meeting on Sunday. The plans followed the earlier announcement of a 15 billion shekel ($3.8 billion) five-year plan to address the gaps in access to infrastructure and discrepancies in rights between Palestinians with Israeli citizenship and their Jewish counterparts. While it was not initially clear whether the assistance to the Druze and Circassian communities was included in this larger plan, Netanyahu warned separately on Sunday that the larger plan for the development of other “Arab communities” was dependent on the implementation of a law enforcement plan alongside it. “I want to make it clear that nothing that has been done in various areas — infrastructure, tourism, education, trade, economy — can move forward if we do not address the question of enforcing the laws of the state of Israel in the Arab sector,” the prime minister said. The further security measures proposed by Netanyahu would target Palestinian citizens of Israel — who represent an estimated 20 percent of the Israeli population — but would, critics say, do so unequally. Palestinian communities in Israel recently came under intense scrutiny from Israel’s security forces after a Palestinian with Israeli citizenship, Nashat Melhem, allegedly killed two Israelis at a Tel Aviv cafe on Jan. 1, before killing a Palestinian citizen of Israel as he fled the scene. Melhem was killed in a shootout with Israeli forces on Jan. 8 in his hometown of Arara in northern Israel. Jafar Farah, the director of the Mossawa Advocacy Center For Arab Citizens In Israel, told Ma’an at the time that there had been a high level of incitement against Palestinians with Israeli citizenship on the part of Israeli government officials. Farah’s sentiments were echoed by Aida Touma-Suleiman, a member of the Israeli’s Knesset representing the left-wing Hadash party of the Arab Joint List coalition, who sees the Israeli government’s recent funding plans as reflective of its discriminatory policy. This “conditioned citizenship,” she said, was being carried out by the Israeli government with the aim of creating divisions among Palestinians in Israel. “This has been a tactic from different Israeli governments, even those who claim they are from the left,” she told Ma’an. “They try to divide and conquer us, either based on geographical locations, religious affiliations, and now between good Arabs and bad Arabs. Those who obey the government, who serve in the military, will benefit from the plan, and those who refuse the government’s oppression will not. “We are used to the attempted fragmentation of the community, and we’ll always stand against it,” she said. Israeli law differentiates between Jewish and Palestinian citizens of Israel, and forms further distinctions between various Palestinians minorities. Druze and Circassians are subject to mandatory military service in the Israeli army, whereas Muslim or Christian Palestinian citizens of Israel are not. Israeli identification papers do not recognize Christians, Druze and Circassians as Arabs, unlike Muslims. These legal distinctions have been criticized by many, including MK Abdullah Abu Maruf, as an attempt to divide the Palestinian population inside Israel. Abu Maruf, a Palestinian citizen of Israel and, like Touma-Suleiman, a member of the Hadash party, told Ma’an that Israel’s plan — which he said would actually only amount to 1.2 billion shekels — was an attempt to sow divisions among Israel’s Palestinian minorities through preferential treatment. “As an Arab citizen and a member of Knesset I never oppose allocation of money to the Arab citizens, but we are against a political process of discrimination,” the MK said. Abu Maruf noted that a similar plan to allocate funds to the Druze and Circassian communities was approved by the Israeli cabinet in late 2014, although he pointed out that only 10 percent of the 185 million shekel project had been allocated so far. A Druze himself, he further pointed to the small size of the Druze and Circassian communities in Israel, which total around 130,000 and 4,000 respectively. “With all due respect, this is a small number and the Israelis are using this to talk about minorities and enact discriminatory policies,” Abu Maruf said. This is not the only initiative since the beginning of the year to explicitly benefit the two communities. On Jan. 5, less than a week earlier, the Israeli National Planning and Building Council approved an initiative presented by Netanyahu to “build a new Druze town” near the northern town of Tiberias, a press release from the Israeli Prime Minister’s office revealed at the time. According to rights organization Adalah, there are at least 76 Israeli laws that discriminate between Jewish and Palestinian citizens of Israel. A 2011 report by the organization stated that “Arab municipalities exercis[ed] jurisdiction over only 2.5 percent of the total area of the state,” adding that no new Palestinian towns had been built in Israel since 1948, compared to 600 Jewish municipalities. Infrastructure in Palestinian-majority towns is notoriously inadequately maintained, and access to public transportation is insufficient. “This plan is not a favor from anybody, it is only a small part of the rights we deserve,” Touma-Suleiman said.